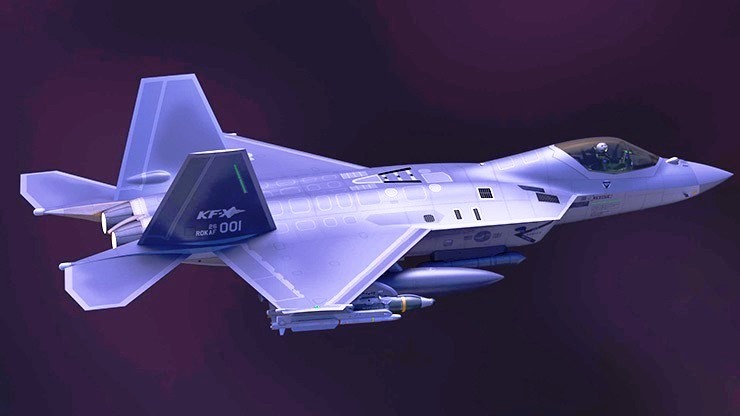 The head of Lockheed’s international business said in February that Singapore was “seriously evaluating” a future purchase of F-35 jets - one of the world’s most advanced fighters which start at around $80 million (60.56 million pounds) each. Britain’s BAE has offered Singapore’s neighbor Malaysia a U.K. government-backed financing deal to replace the country’s combat jets with their Eurofighter Typhoon. 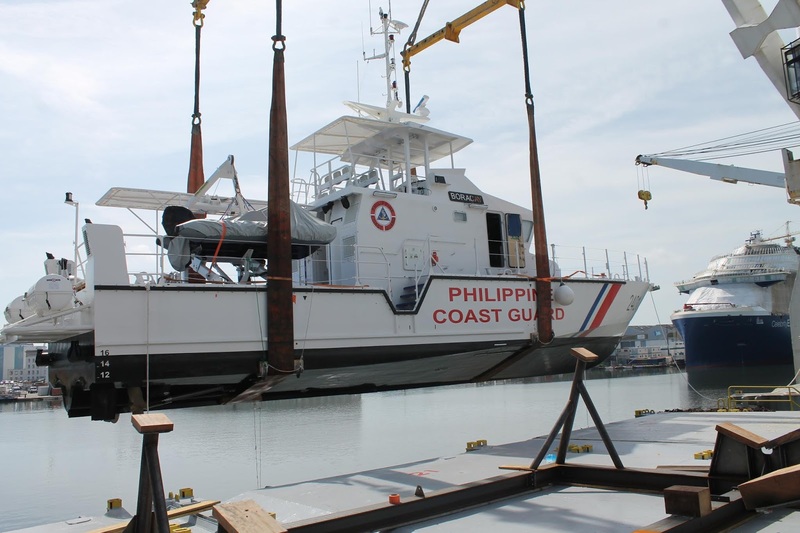 Entirely designed and built by OCEA, this versatile and competitive 24 m type OCEA FPB 72 MKII is based on the model already operated by the Surinam Coast Guard (2 units) and Nigerian Navy (7 units) and adapted to meet the operational requirements of the Philippine Coast Guards. 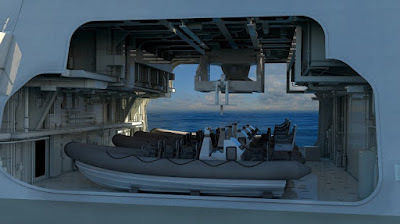 Ship Zero located at both HMAS Stirling and Henderson will include a headquarters, through-life test centre, ship and capability specific training school, and potentially a land based test site for platform systems. 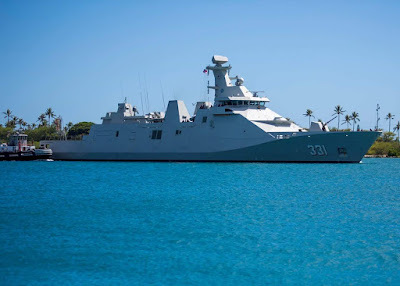 PEARL HARBOR - Republic of Indonesia Navy guided-missile frigate KRI Martadinata (331) arrives at Joint Base Pearl Harbor-Hickam in preparation for Rim of the Pacific (RIMPAC) exercise 2018. Twenty-five nations, more than 45 ships and submarines, about 200 aircraft, and 25,000 personnel are participating in RIMPAC from June 27 to Aug. 2 in and around the Hawaiian Islands and Southern California. The world’s largest international maritime exercise, RIMPAC provides a unique training opportunity while fostering and sustaining cooperative relationships among participants critical to ensuring the safety of sea lanes and security of the world’s oceans. RIMPAC 2018 is the 26th exercise in the series that began in 1971. 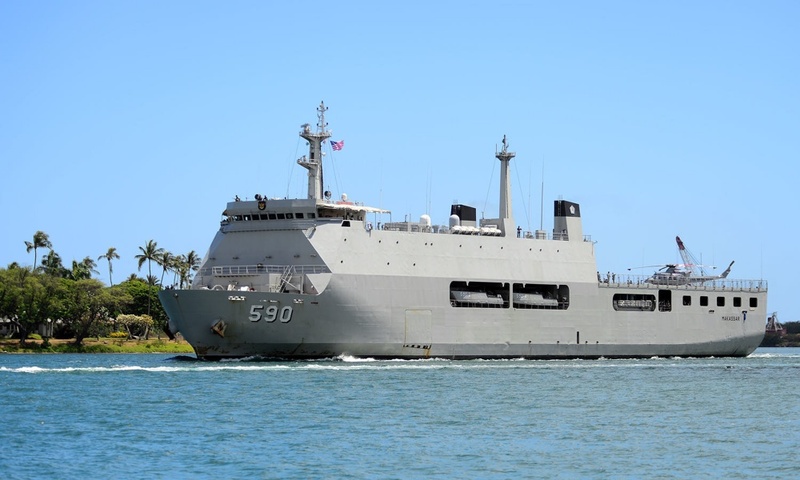 Republic of Indonesia Navy landing dock ship KRI Makassar (590) arrives at Joint Base Pearl Harbor-Hickam in preparation for Rim of the Pacific (RIMPAC) exercise. 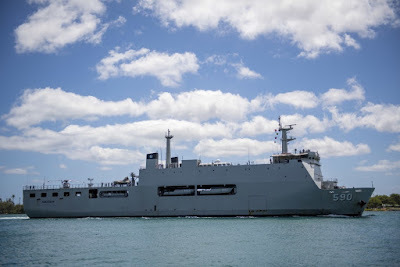 Twenty-five nations, more than 45 ships and submarines, about 200 aircraft and 25,000 personnel are participating in RIMPAC from June 27 to Aug. 2 in and around the Hawaiian Islands and Southern California. 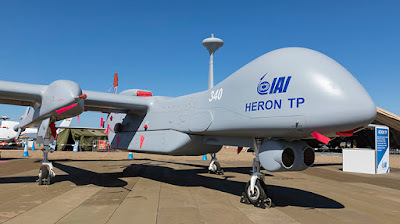 Israel's IAI Group offered UAV Eitan package to Vietnam in a bid worth $ 160 million. The high cost of the UAV, with a total cost of $ 160 million, is an average of $ 53 million for each of these unmanned aerial vehicles, which is equivalent to the Su-30MK2. Try to find out if the cost of owning a vehicle like this is reasonable. The Eitan (Heron TP) unmanned aerial vehicle is a 14 m long, 26 m wingspan with a maximum takeoff weight of 5,400 kg and a carrying capacity of 2,700 kg. That's a 1,000 kg load, which is very significant and not inferior to the US MQ-9 Reaper. More importantly, the tactical features of the Eitan UAV are superior, even superior to the Heron 1, which is the 14,400 m ceiling that spans 7,400 km in length with continuous flight times. Over 30 hours. This is a high-altitude surveillance vehicle capable of reconnaissance, surveillance, damage assessment, target detection, aerial refueling, intelligence gathering, remote missile warning, even direct combat. The Eitan UAV's reconnaissance system is very powerful and comprehensive, including MPR, SAR, ELINT/COMINT, and other equipment. Optoelectronics allows monitoring of the situation in all weather conditions. Images and information are transmitted in real time to the control center. This unmanned aerial vehicle can carry up to four Nimrod air-to-surface missiles during each combat mission, providing powerful ground attack no less than professional ground attack. There is another issue that can not be ignored: Israel is a very pleasant partner, and they are willing to provide either partial or total manufacturing technology to their customers. 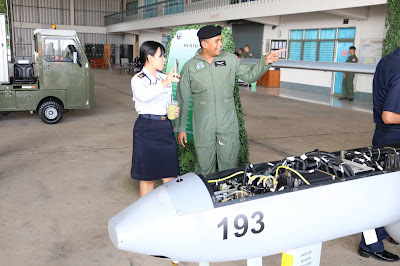 This is very necessary for Vietnam as we are gradually building the unmanned aerial vehicle production sector that the prototype Viettel is producing is a good example. SEOUL (Yonhap) -- South Korea plans to complete a design process for its own fighter aircraft by September next year and produce the first prototype in 2021, the nation's arms agency said Friday. The timetable is based on some progress in the KF-X program aimed at manufacturing around 120 advanced fighter jets to replace the Air Force's aging F-4 and F-5 combat planes. The so-called 4.5-generation fighters will be upgraded to have stealth functions, if needed. The Defense Acquisition Program Administration (DAPA) has partnered with Korea Aerospace Industries Co. (KAI), a local defense firm, and Indonesia for the project worth 8.8 trillion won (US$7.8 billion). Earlier this week, the DAPA conducted a preliminary design review (PDR) of the envisioned jet and concluded that it has met the requirements of the military. It's set to advance to a detailed design task. 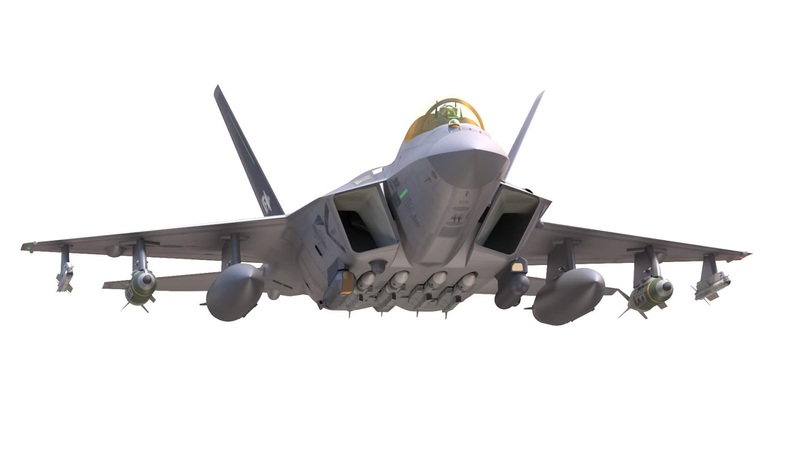 "The PDR has been finished successfully to decide whether to proceed to a critical design review (CDR)," Jung Kwang-sun, head of the DAPA's KF-X Program Group, said. "We plan to complete the detailed design process by September 2019 ... and then begin the production of a prototype." KAI aims to roll out the first version by 2021 for the maiden test flight in the latter half of the following year with a view to wrapping up the development work by 2026. 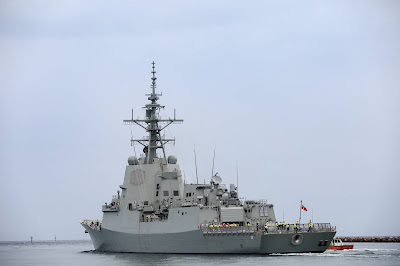 WASHINGTON - The State Department has made a determination approving a possible Foreign Military Sale to Australia of equipment associated with the integration of the CEAFAR 2 Phased Array Radar System with the AEGIS Combat System for an estimated cost of $185 million. The Defense Security Cooperation Agency delivered the required certification notifying Congress of this possible sale today. 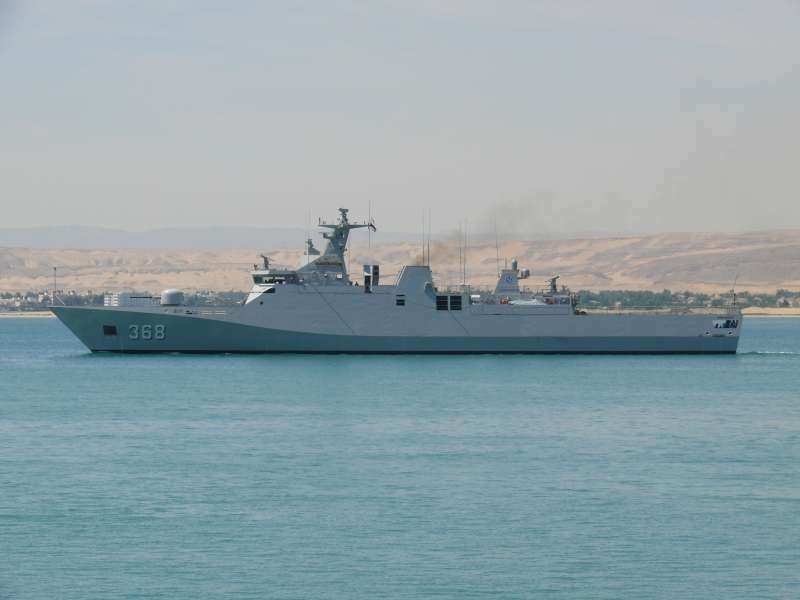 The Government of Australia has requested to buy long lead items, engineering and development activities, establishment of engineering development sites, and commencement of development activities associated with the integration of the CEAFAR 2 Phased Array Radar System with the AEGIS Combat System. Included are AEGIS Weapon System Technical Equivalent Components including Command Display System (CDS) Consoles (including 2 consoles in Gun Weapon System configuration); Multi-Mission Display (MMD) systems, including projectors, sensors and cameras; Tactical Equivalent Core Computing System (CCS) Cabinets; Tactical Equivalent AEGIS LAN Interconnect System (ALIS) Cabinets; Tactical Equivalent AEGIS Conversion Equipment Group Input/Output (ACEG I/0) Cabinets; Tactical Equivalent Advanced Storage Area Network (ASAN) Cabinets; Global Command and Control System - Maritime (GCCS-M); Cooperative Engagement Capability (CEC) sites systems, to include processing rack, simulation equipment and workstation; AN/SPQ-15 Converter/Receiver and /signal data converter equipment; Defense Visual Information Distribution Service (DIVDS) cabinet; AN/SQQ-89 Sonobouy Processing Core Computing System racks, with console and laptop; AEGIS simulator racks and workstations; AEGIS Training System; and various ancillary equipment and support products, including desktop computers, displays, test units and compilations servers, printers, workstations, spares, cabling and software licenses. Also included are spare and repair parts, support and test equipment, engineering and technical services to support sites equipment, U.S. Government and contractor engineering, technical and support services, engineering technical assistance, other technical assistance, and other related elements of program and logistics support. The total estimated program cost is $185 million. This sale will support the foreign policy and national security of the United States by helping to improve the security of a major ally that is an important force for political stability and economic progress in the Western Pacific. It is vital to the U.S. national interest to assist our ally in developing and maintaining a strong and ready self-defense capability. 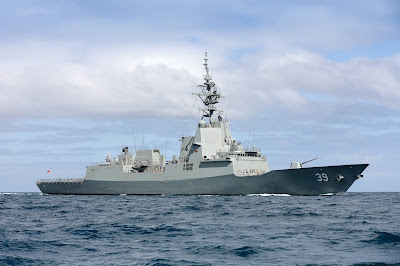 The proposed sale will enhance Australia's Surface Combatant capability by adding nine AEGIS capable Future Frigates over the next 20 years and by upgrading their existing three AEGIS capable Hobart Class destroyers with the latest technology and capability. 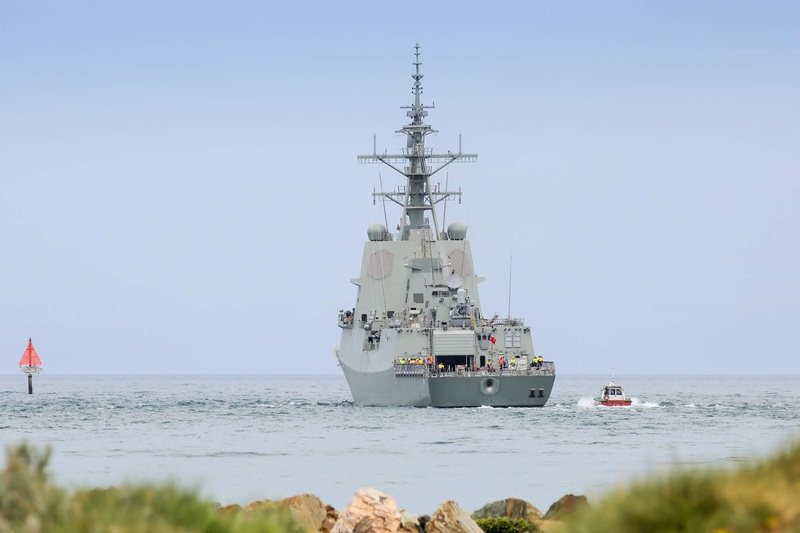 This sale enhances Australia's self-defense capability, while significantly improving interoperability with U.S. Navy AEGIS combatants in the region. By deploying a surface combatant fleet that will incorporate Cooperative Engagement Capability (CEC), Australia will significantly improve network-centric warfare capability for U.S. forces operating in the region. Australia will have no difficulty absorbing this equipment into its armed forces. The prime contractor will be Lockheed Martin, Rotary and Mission Systems, Moorestown, NJ. There are a significant number of companies under contract with the U.S. Navy that will provide components and systems as well as engineering services during the execution of this effort. There are no known offset agreements proposed in connection with this potential sale. Implementation of this proposed sale will require travel of U.S. Government and/or contractor representatives to Australia on a temporary basis for program support and management oversight, consistent with the current level of effort. 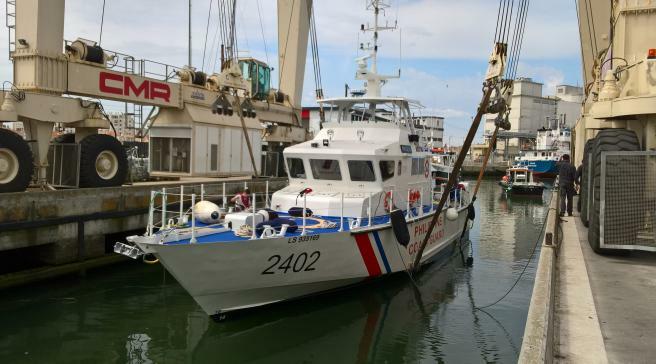 Her sister-ship “PANGLAO - 2401” has been launched earlier this month at the OCEA site in Les Sables d’Olonne. 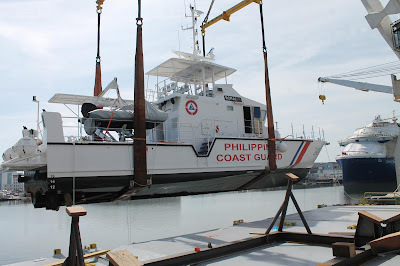 This versatile and competitive 24 m type OCEA FPB 72 MKII is based on the model already operated by the Surinam Coast Guard (2 units) and Nigerian Navy (7 units) and adapted to meet the operational requirements of the Philippine Coast Guards. The Japanese Acquisition, Technology & Logistics Agency ATLA, reporting to the Ministry of Defense of Japan, on May 30, 2018, it received five prototypes of 155-mm/52 self-propelled howitzer on the wheeled chassis, commissioned and manufactured by Japan Steel Works, carried out by ATLA. It is interesting that this system is not made on the Japanese chassis, but on the basis of the German car MAN HX 32.440 with the wheel formula 8x8. 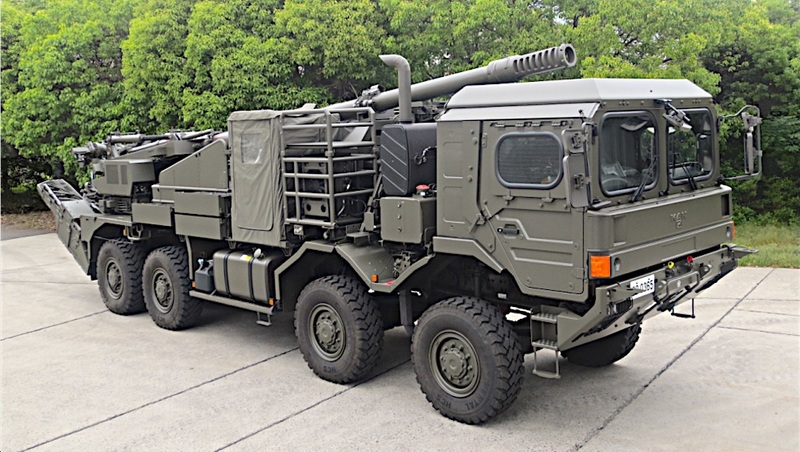 The perspective wheeled SPH is designed to replace the 155-mm/39 FH-70 towed howitzers in the Land Force of Japan's self-defense, previously produced from 1983 to 2008 under a European license by the same corporation Japan Steel Works. The development of wheeled SPH was carried out by order of ATLA from 2012, the total cost of R&D is estimated at 9.9 billion yen (more than $ 100 million). The swinging part of the automatic control system is a modified version of the 155-mm/52 howitzer used in the Japanese tracked SPH of the Type 99. The calculation of the wheeled SPH is five people. Yogyakarta (Antaranews Jogja) - Kepala Staf TNI Angkatan Udara Marsekal TNI Yuyu Sutisna mengatakan rencana untuk mendatangkan pesawat Hercules terbaru tipe J akan tetap dilanjutkan untuk menggantikan pesawat Hercules yang sudah berusia tua. 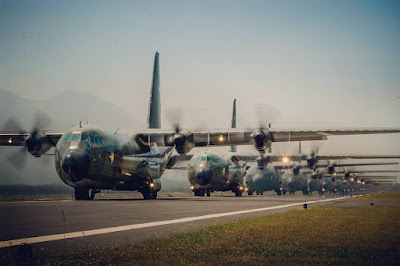 Yuyu mengatakan dalam rangka memperkuat alat utama sistem persenjataan (alutsista), selain pengadaan Hercules, dalam waktu dekat TNI AU juga akan menambah 11 pesawat tempur generasi terbaru, 11 helicopter, serta 9 pesawat Casa 212. BAE Systems will equip the Royal Australian Navy with a fleet of nine highly-advanced frigates, transforming not only the Navy but Australia’s sovereign shipbuilding capabilities. The new ships – called the Hunter Class – will be built in Australia using Australian steel, and signal a dramatic shift in both combat and industrial capability. BAE Systems’ Type 26 Global Combat Ship has been locked in competition against Spanish shipbuilder Navantia, with its evolved Hobart Class/F-100, and Italy’s Fincantieri, with its FREMM frigate, to secure the hotly-contested SEA 5000 Future Frigates program. 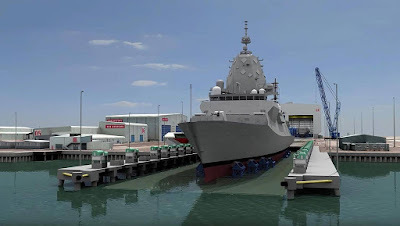 The Type 26 is currently in production for the UK's Royal Navy, with the program running five years ahead of the Australian SEA 5000 Future Frigates project. 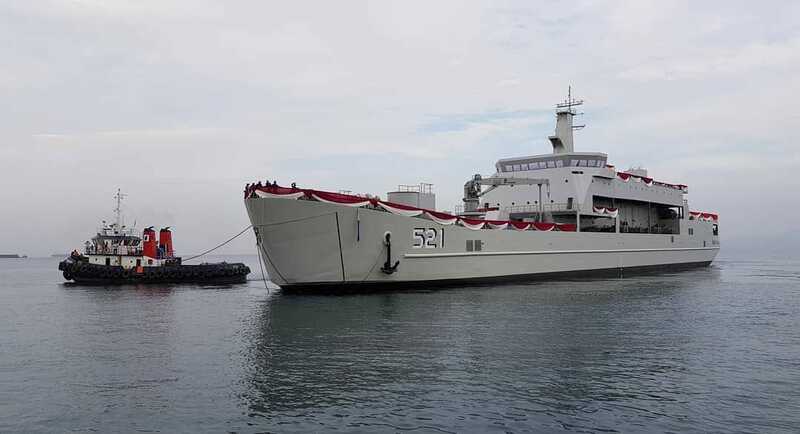 The first Australian vessel will now be the fourth of class. The first ship for the Royal Navy cut steel last year in Glasgow and is due to hit the water in 2020. 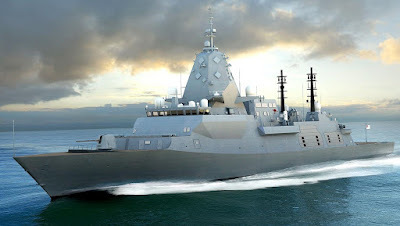 The next-generation frigates will provide the Australian Defence Force with “the highest levels of lethality and deterrence our major surface combatants need in periods of global uncertainty”, Prime Minister Malcolm Turnbull said. The Type 26 is touted as an anti-submarine warfare (ASW)-centric vessel and a sound addition to Australia’s naval capabilities. 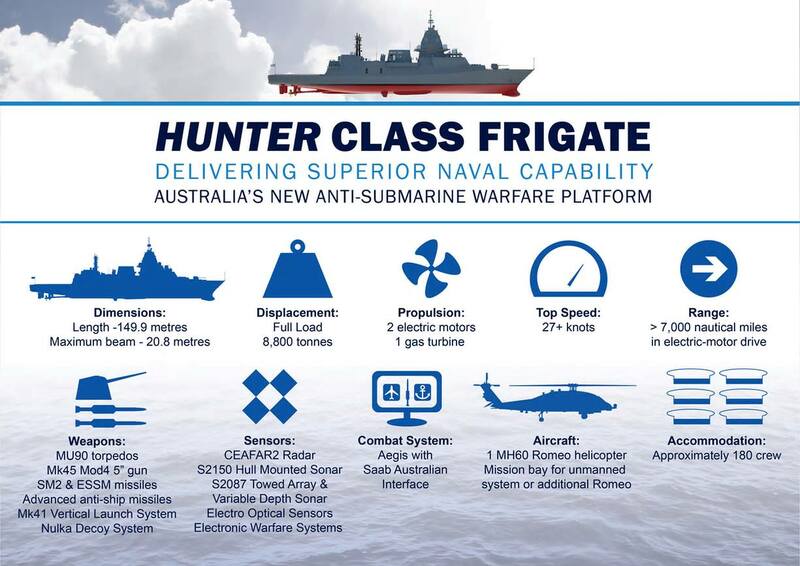 The Hunter Class will have the capability to conduct a variety of missions independently, or as part of a task group, with sufficient range and endurance to operate effectively throughout the region, according to Prime Minister Turnbull. This $35 billion program will create 4,000 jobs throughout Australia and deliver unprecedented local and global opportunities for businesses large and small. The program provides a unique opportunity to not just strengthen but guarantee Australia's naval shipbuilding sovereignty. BAE System's Hunter Class of frigates will be built by ASC Shipbuilding at the Osborne Naval Shipyard in South Australia. ASC Shipbuilding, currently wholly owned by the Commonwealth, will become a subsidiary of BAE Systems. BAE Systems expects the Australian industry content (AIC) for the Hunter Class build will be 65-70 per cent, which will create and secure thousands of jobs for decades. As part of its commitment to developing Australia's sovereign shipbuilding capability, BAE Systems has prequalified over 500 Australian businesses from every state and territory to be in the Hunter Class supply chain. The build will draw on partners, including Rolls-Royce for example, which will provide the Type 26 powerplant, as detailed on the Defence Connect Podcast early this month. The Commonwealth government will retain a sovereign share in ASC Shipbuilding while BAE manages the program, the Prime Minister said. At the end of the program the Commonwealth will resume complete ownership of ASC Shipbuilding, thereby ensuring the retention in Australia of intellectual property, a highly skilled workforce and the associated equipment. According to the Prime Minister, this will ensure that, by the conclusion of the frigate build, ASC Shipbuilding will be a strategic national asset capable of independently designing, developing and leading the construction of large, complex naval warships. 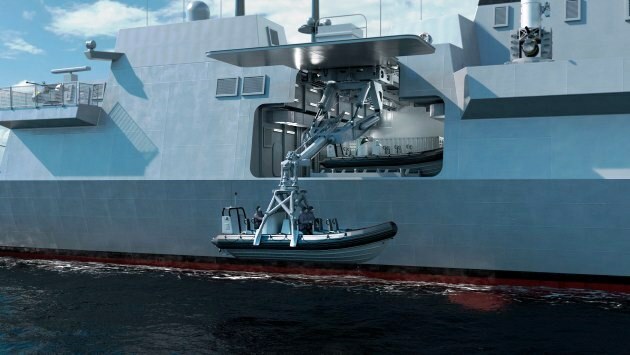 This agreement will not affect the Offshore Patrol Vessels, Air Warfare Destroyers, or the sustainment of the Collins Class submarines, and will not preclude ASC Group from pursuing future shipbuilding opportunities. 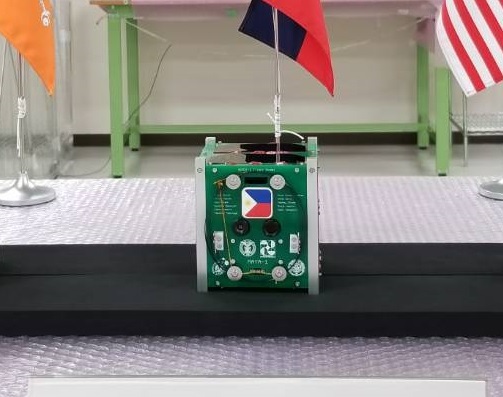 The first Filipino cube satellite, MAYA-1, is scheduled to be delivered to the International Space Station on June 29 for its space launch in July. “Implemented by the PHL-Microsat Program of the University of the Philippines Diliman, in collaboration with the Department of Science and Technology – Advanced Science and Technology Institute (DOST-ASTI) and the Kyushu Institute of Technology, Maya-1 was turned over to the Japan Aerospace Exploration Agency (JAXA) last May 15, to prepare for its launch,” Department of Science and Technology (DOST) Philippine Council for Industry, Energy and Emerging Technology Research and Development (PCIEERD) said. DOST-PCIEERD said development of the Maya-1 falls under BIRDS-2 (Birds Satellite Project), a cross-border interdisciplinary satellite project that accommodates non-space faring countries. “The project consists of 11 participating team members from four different countries – two of whom are from the Philippines,” it added. “Maya-1 is set to take images of the earth using onboard cameras, broadcast signals from various satellites, and determine their locations, measure atmospheric density through orbital analysis, help operate a ground station network for CubeSat constellation – an application that will allow for easier telecommunication, and measure single-event-latch ups in orbit,” DOST-PCIEERD said. “Just like how Diwata-1 and Diwata-2 paved the way for science to grow and flourish in the Philippines, Maya-1 will serve as a representation on how we strive to make our mark as a globally competitive country in the space tech scene,” it added. The National Aeronautics and Space Administration (NASA) will be launching an uncrewed SpaceX Dragon cargo spacecraft, lift off on a Falcon 9 rocket, from Launch Complex 40 at Cape Canaveral Air Force Station in Florida on June 29 to deliver supplies and equipment to the International Space Station. 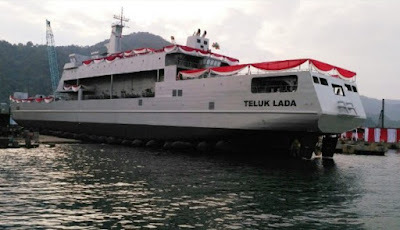 BANDAR LAMPUNG (lampost.co) -- Menteri Pertahanan Ryamizard Ryacudu bersama KSAL meresmikan kapal terbaru TNI, KRI Teluk Lada 521 di galangan kapal PT DRU. "Peluncuran dihadiri Menhan, KSAL Laksamana TNI Siwi Sukma Adji dan seluruh jajaran, serta forkopimda," kata Danyon 9 Letkol Mar Sugeng Purwanto kepada lampost.co, Kamis (28/6/2018). 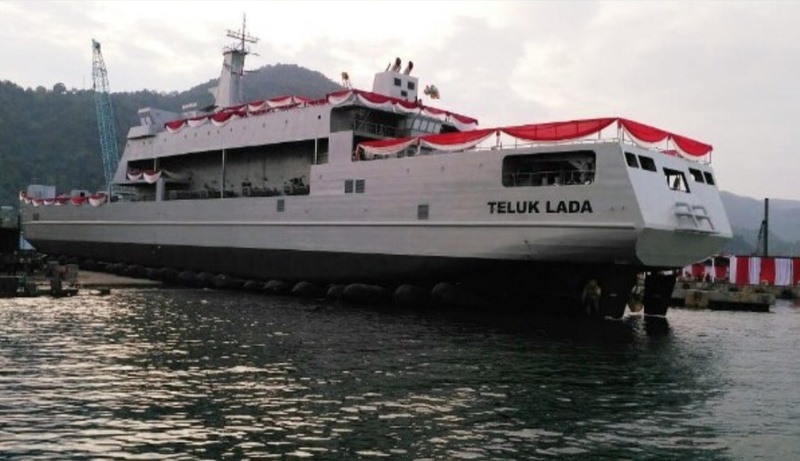 Peluncuran kapal terbaru dilaksanakan di PT DRU, Bandar Lampung. Menurut Sugeng, Menhan berharap kapal karya anak bangsa itu dapat menambah kekuatan TNI AL dalam menjaga laut Nusantara. 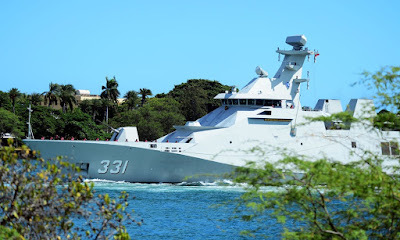 PT Daya Radar Utama (DRU) kembali meluncurkan kapal jenis landing ship tank milik TNI AL. 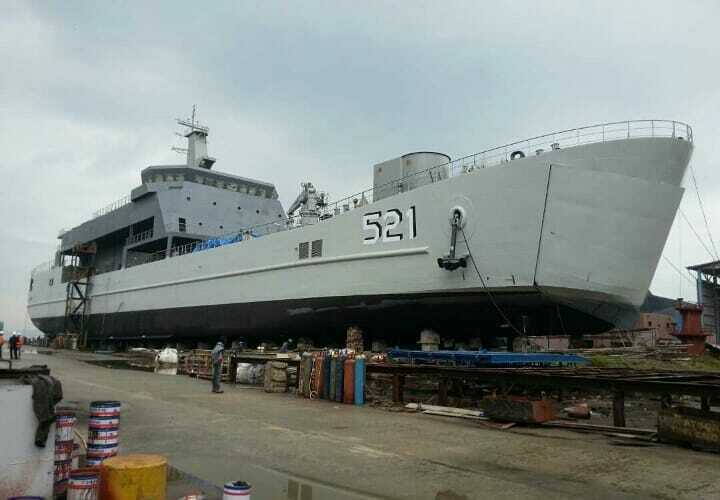 Kapal AT-4 KRI Teluk Lada tersebut merupakan karya anak bangsa yang diharapkan menjadi persembahan terbaik dari PT DRU untuk negeri. 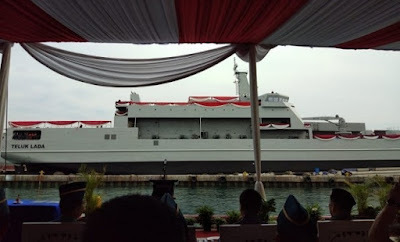 Peluncuran Kapal AT-4 KRI Teluk Lada dihadiri langsung Menteri Pertahanan Jenderal TNI (Purn) Ryamizard Ryacudu serta Kepala Staf TNI AL Laksamana TNI Siwi Sukma Adji, di galangan kapal PT DRU, Panjang, Bandar Lampung, Kamis (28/6/2018). Ini adalah kedua kalinya PT DRU membangun kapal angkut tank milik TNI AL. Sebelumnya satu tahun yang lalu, industri galangan nasional milik swasta ini juga telah mempersembahkan KRI Teluk Bintuni-520. "Ini menjadi kebanggaan bagi kami PT DRU yang telah diberikan kepercayaan membangun kapal milik TNI AL. Kami berharap kapal ini bisa menjadi persembahan terbaik dari PT DRU untuk negeri," kata Direktur Utama PT DRU, Amir Gunawan, Rabu (27/6). 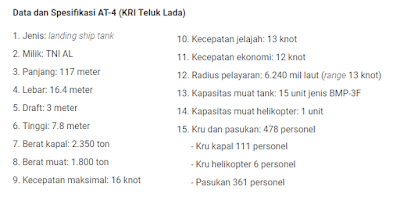 Amir menjelaskan AT-4 KRI Teluk Lada memiliki panjang 117 meter dengan lebar 16,4 meter. Kecepatan kapal angkut ini maksimal hingga 16 knot dan kecepatan jelajah 13 knot, radius pelayaran sekitar 6.240 mil laut (range 13 knot) ini dikerjakan putra-putri bangsa Indonesia. Tidak ada satu pun tenaga ahli dari luar negeri. "Kapal angkut tank TNI AL yang sedang dibangun PT DRU sebanyak empat unit. Salah satunya AT-4 KRI Teluk Lada yang akan kami luncurkan. Tahun ini, rencananya menyusul tiga kapal lagi untuk diluncurkan," kata Amir. Ia menuturkan PT DRU adalah salah satu industri galangan nasional milik swasta murni yang bergerak sejak 1972. Dalam perjalanannya, PT DRU telah banyak membangun berbagai jenis kapal berukuran kecil hingga besar. Selain kapal angkut milik TNI AL, PT DRU juga telah mampu membangun tanker 17.500 DWT milik Pertamina yang dilengkapi dengan berbagai peralatan tercanggih. "Begitu juga dengan kegiatan docking dan repair kapal-kapal kecil maupun kapal besar, seperti tanker Pertamina dan kapal gas, telah kami laksanakan dengan aman," ujarnya. Terkait adanya wacana pemerintah mengembangkan industri strategis nasional di Lampung, Amir menegaskan PT DRU siap bermitra dan mendukung hal tersebut. PT DRU juga senantiasa siap bersinergi dalam upaya memperkokoh kemampuan industri strategis nasional, khususnya dalam industri perkapalan di Tanah Air. 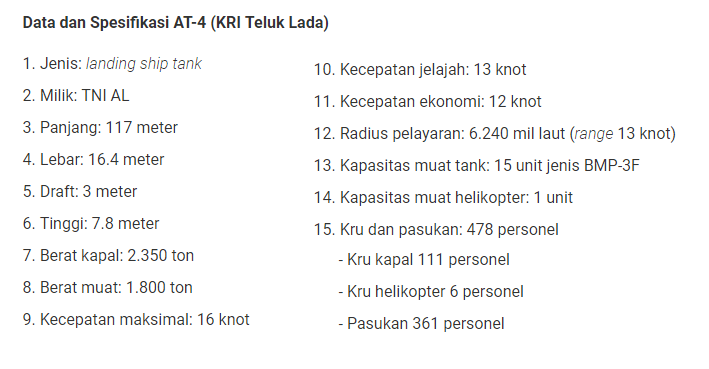 Menurut Amir, upaya pemerintah dalam menyinergikan seluruh potensi nasional terkait industri perkapalan sudah terbukti pada pembangunan kapal angkut tank TNI AL yang dikerjakan PT DRU. "Berkarya untuk kepentingan bangsa dan negara dalam membangun sistem pertahanan nasional adalah kebanggaan bagi kami. PT DRU akan terus berupaya meningkatkan kemampuan agar selalu menghasilkan produk yang berkualitas, tepat guna, dan tepat waktu," ujar Amir. Bukti kinerja dan sinergisitas yang terbangun secara baik dengan pemerintah, diharapkan dapat terus berjalan secara konsisten. Amir menegaskan PT DRU siap membangun kapal-kapal berikutnya. 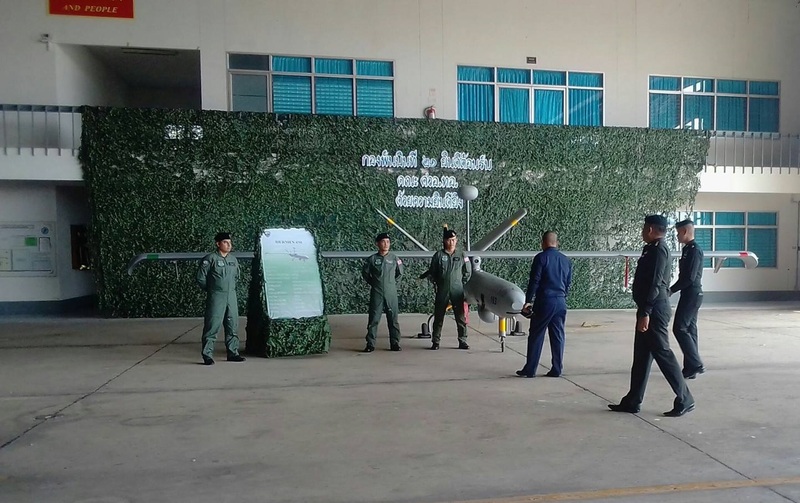 The Royal Thai Army (RTA) has introduced the Elbit Hermes 450 unmanned aerial system (UAS), becoming the second Southeast Asian country after Singapore to operate this drone. 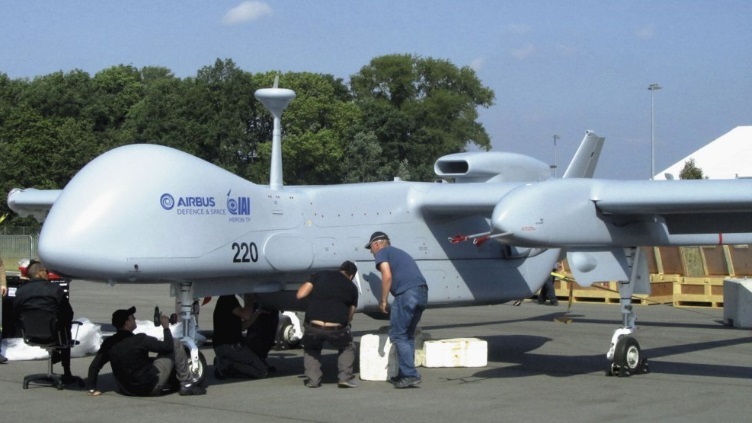 Elbit Systems says that the H450 has now performed “40,000 successful combat missions,” but like other Israeli companies, it does not specify customers. Meanwhile, Thales UK is separately marketing for export the Watchkeeper UAS that it developed from the H450 for the British Army, in cooperation with Elbit. 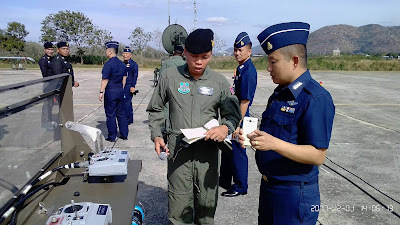 The Elbit sale to Thailand is worth $28 million and consists of four H450 air vehicles and a ground-control station. The UAS will be used for a variety of roles including ISR, target designation, and aerial mapping. 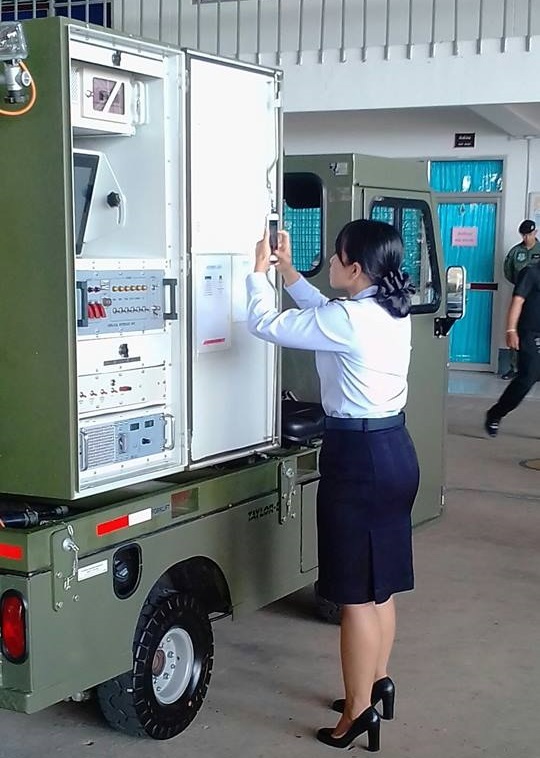 The system will be based at the 21st Aviation Battalion, RTA Aviation Centre in Lopburi Province. The Lopburi complex has been flying IAI Searcher Mk II UAVs since 2001. 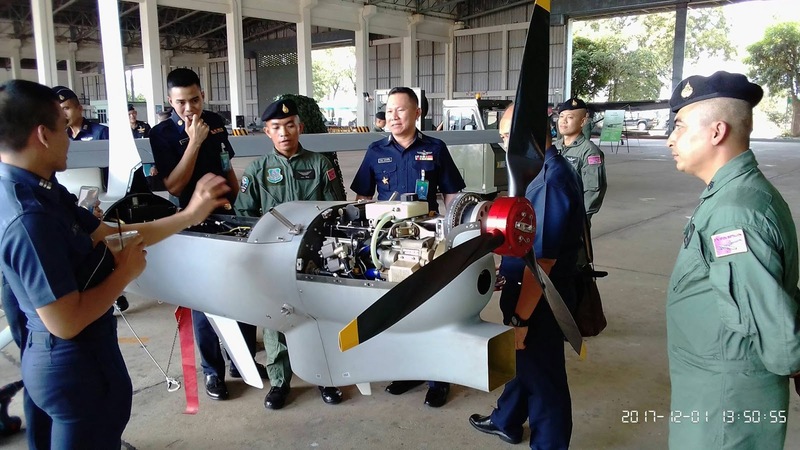 The RTA and Royal Thai Air Force (RTAF) each have their own independent UAV programs, the latter flying four Israel Aeronautics Defence Systems Aerostar UAVs. Thales UK delivered all 54 Watchkeepers ordered by the British Army between 2014 and 2017. It developed “Equipment Stage 2” enhancements that included the ability to control three air vehicles from one ground station, with more autonomy in the mission-planning system. Thales received a £80 million ($106 million) support and training contract for the British Army in 2016. Some of this support, plus further development such as maritime utility trials, takes place at the West Wales Airport at Aberporth that specializes in UAV flying. One Watchkeeper crashed near there on June 15, the fifth loss so far. According to Thales officials who gave a briefing at the DSEI show last September, the Watchkeeper offers “three times the performance of the H450” as a result of its better sensors and other enhancements. The Watchkeeper is equipped with a Thales I-Master SAR/GMTI radar, and the company is now replacing the original Elbit Compass 4 EO/IR sensor with the higher-definition FLIR Systems 380 sensor ball. Thales is also in a joint venture with Qinetiq to offer a communications intelligence (COMINT) sensor. The export offer is designated Watchkeeper-X. Thales has not made any sales yet but is in competition with Elbit (the H450) and Textron (the Shadow) for a Polish requirement named "Gryf." According to some sources from Russia, it is likely that after the Tank Biathlon competition in 2018, the sale of the T-72B White Eagle for Laos will be signed. In early April this year, Russian television broadcast coverage of the visit by Defense Secretary to Lieutenant General Chansamone Channhalat to a repair facility in St. Petersburg. Petersburg. At this point, the Russian side introduced the T-72B overhaul of the T-72B tank, and demonstrated the tactical features of the upgraded T-72B "White Eagle". Lao defense ministers said tanks and armor of the Soviet Union played an important role in the revolutionary cause of Laos and that currently Russian weapons are still based on the strength of the military. 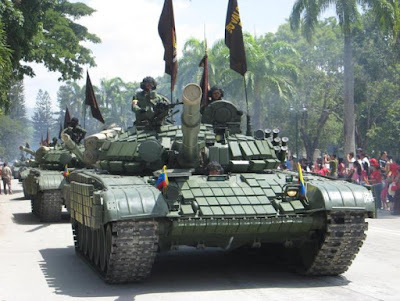 This is a clear indication that Laos has ordered the upgraded T-72 to modernize the army. The Lao People's Army was introduced to the T-72B3 tank during the 2017 Tank Biathlon tournament, but due to the high cost of up to $ 3 million / car, Laos is believed to have headed for a cheaper version. T-72B "White Eagle". T-72B "White Eagle" is an upgraded version of the Soviet-built T-72B Russian tanks, the "White Eagle", which is a quick fire upgrade package that helps tanks respond. Better than the requirements of modern warfare. Basically, the "White Eagle" tank has a poor T-90S defense system when it is not equipped with the new Contact 5 Armor Reactor, but uses Contact 1 as well as is not equipped with the Shtora Soft Defense System. -1, however, it was rated slightly better. "White Eagle" tanks are equipped with a multi-channel optical viewfinder thermal image for the gunner and head of the Sosna-U vehicle company Peleng of Belarus, customers can optionally add a few electronic devices. Western origin. In addition, the vehicle is equipped with bullet traverse machine and automatic target tracking system, integrated 12.7 mm remote control turret gun with travel camera. Its electronic system and fire control significantly outperformed the T-90S. According to military experts, these are virtually unused and re-integrated electronic weapons that the new T-72B "White Eagle" enough to confront all battles. At present, this is a wise choice of Laos. As a partner of the Indonesian Navy for over 40 years, Thales is the appointed supplier of combat systems for the country's warships in service. Earlier this year, Thales also successfully modernised one of Indonesia's Diponegoro-class corvettes by installing and integrating the sonar system with the Kingklip hull-mounted sonar. 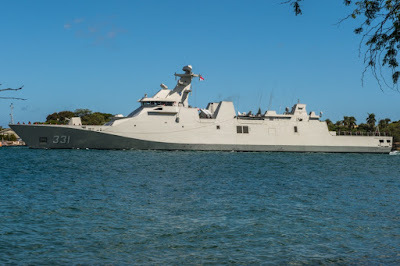 The upgrade follows a repair of the corvette damaged in an accident that took place during a routine sea operation in January 2015. 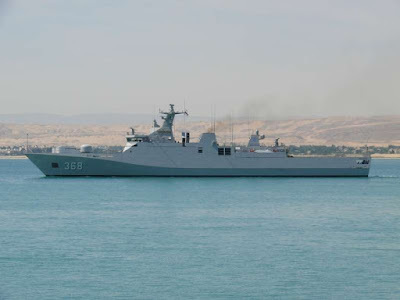 By updating the operator console, signal processing and hardware technology, Thales enabled the Indonesian navy to achieve a boost in sonar performance for its warship as well as enhanced communicative capabilities between the user and the machine through the human machine interface (HMI), which is already installed on the Perusak Kawal Rudal (PKR) class frigate. Furthering its commitment to establish long-term relationships with local industrial partners and facilitate the transfer of knowledge and expertise, Thales worked closely with PT Dharma Satya Nusantara (DSN) on the reparation of the sonar system. 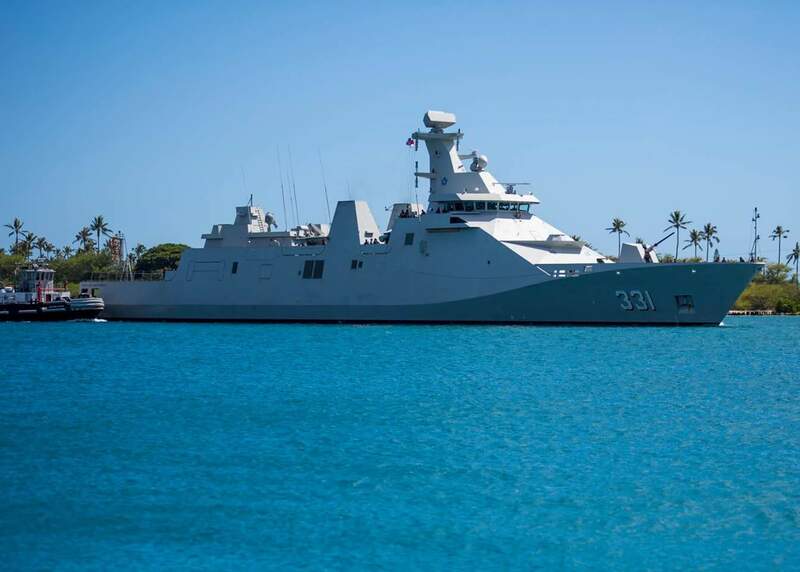 In February 2018, Thales also completed a successful sea trial with the support of a former French navy sonar operator, who also shared best practices with the Indonesian navy officers. 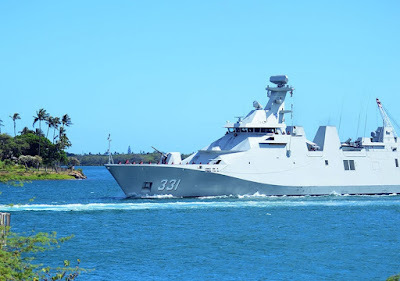 “We are proud to be part of the Indonesian navy's modernisation ambitions as we support them in the refurbishment of the sonar system on its warship. This is telling of the trust they have in Thales based on the longstanding partnership we have with the Indonesian authorities to always deliver and share our expertise to support them in their goals, whatever it takes,” said Eric-Jan Raatgerink, Country Director, Thales in Indonesia. Thales is supporting our customers' growth ambitions in the Republic of Indonesia for close to 40 years in the areas of defence, aerospace, and space. 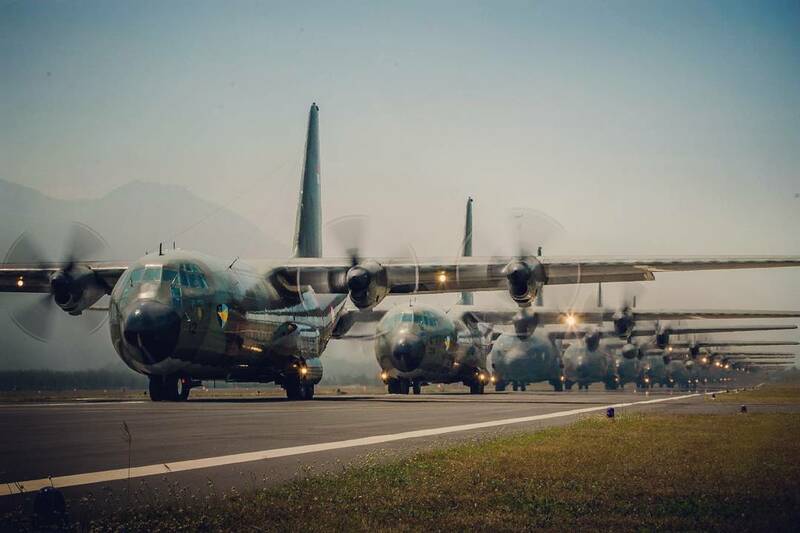 With its main office located in Jakarta, Thales is providing various solutions for air traffic management and telecommunication satellites to its civil customers, while being a long-term provider of defence solutions to the Indonesian Air Force, Army and Navy.